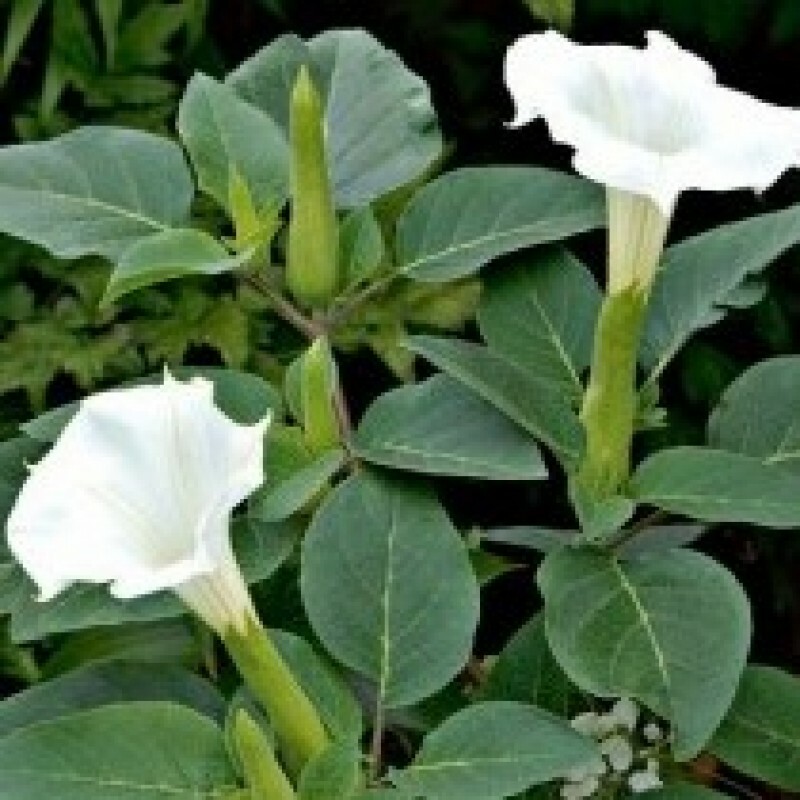 Datura is also known as the trumpet flower because of its trumpet-shaped white flowers. With its blue-green foliage reaching 18 to 24 inches high. Blooms from summer through fall this plant is real beauty in the garden. The flowers can get up to 15 inches long and have a curious trait of opening in the late afternoon and closing up in bright light. Although considered a hardy perennial tolerating drought conditions and various types of soils, this plant is often grown as an annual. Datura is very easy to grow, making it a great plant for novice gardeners.